The Route 66 Casino, just west of Albuquerque, New Mexico, will host Legacy Fighting Championship’s Legacy FC 36 weigh-in Thursday afternoon at 2PM. 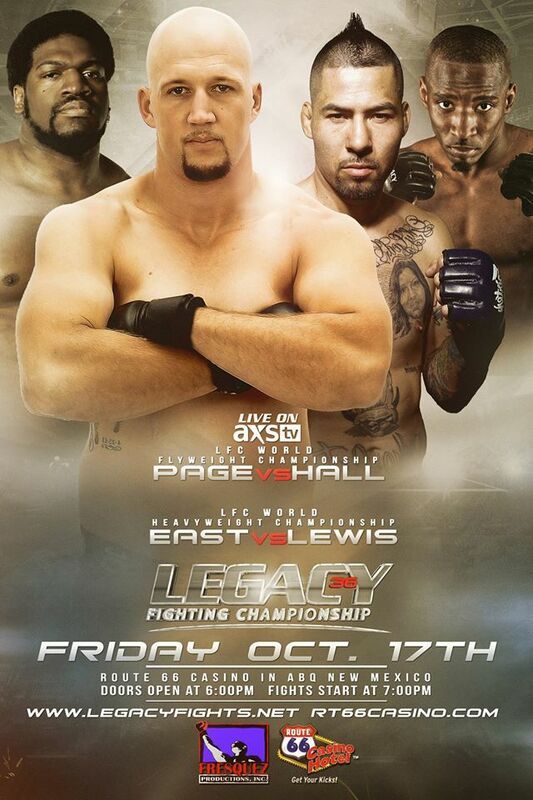 The card features several fighters with New Mexico ties; this includes the two headlining championship matches as Albuquerque’s Cody East faces Vernon Lewis of Texas for the Legacy Heavyweight title in the main event and East’s Jackson’s-Winkeljohn’s MMA teammate Damacio Page battles Brian Hall in the co-main event for the Legacy Flyweight belt. Legacy FC 36 tickets can be purchased by clicking HERE. Time: 7PM (first bell), Doors open at 6pm.